Hello readers! Are you planning a trip to Bangkok? Confused from where to start up with the attractions? This is the very right place where you landed. Today we are here with top 5 places to visit in Bangkok, the greatest city in Thailand. Bangkok is an amazing place and one of the most fascinating metropolises in Asia. It will take several days so as to experience about all the offerings Bangkok providing its visitors. It is one of the largest and oldest Wat (temple). It is stretching over 20 acres and built up near about 200 years before when Bangkok became the capital of Thailand. 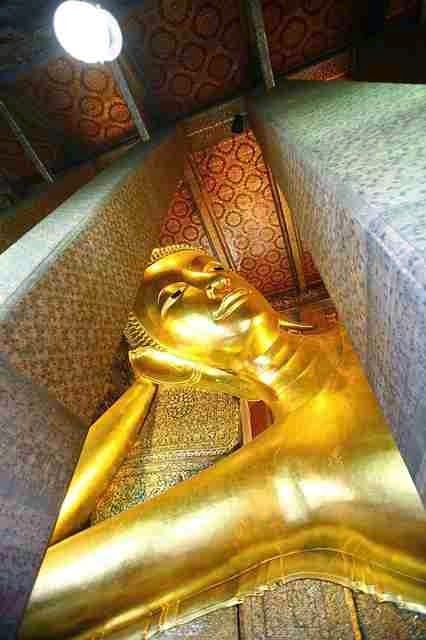 A gold platted reclined Buddha is the chief attraction of this temple which is 46 meters long and 15 meters high. It is one of the best places in the world where visitors can get a Thai massage. It is a place of Thailand’s first university. 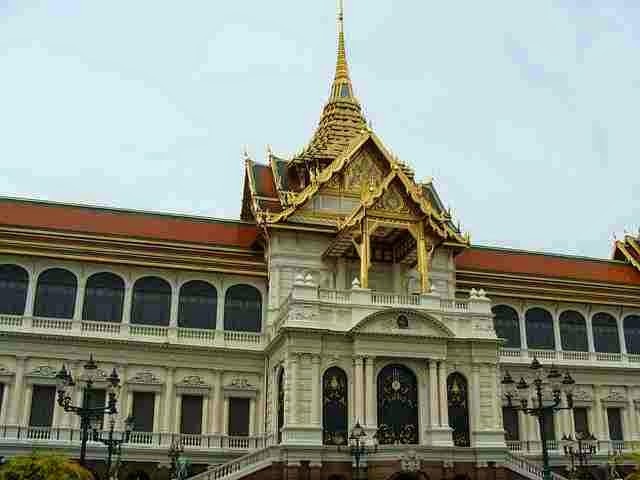 This is the official palace of Thailand’s kings. It is a complex of buildings which are so beautifully constructed that attract visitors in high numbers each year. It includes one of the most famous temples i.e. The Temple of the Emerald Buddha (Wat Phra Kaew) containing carious small Emerald Buddha’s from 14th century. It is one of the most sacred places of Thailand and a strict dress code is applicable which includes no bare feet, no bare shoulders, long shirts and longs pants, etc. It is 104 meters prang (Khmer-style tower) which is decorated with pieces of porcelain and includes murals and Buddha images which are designed by King Rama II along with few couple of mythical guardians. Some people say that it is better to admire this landmark from a distance and if visitors want to see a nice view of Chao Phraya River then they need to walk up some stairs there. This museum is the largest museum in South East Asia and is one of the best places where visitors can really learn something rich about Thai’s culture, religion and its history. An English tour is available on Wednesdays and Thursdays which lasts about 2 hours and it is recommended to visit the place with these tours because you will find large parts of the museum which are without any information. This is the best place in Bangkok where people enjoy the traditional Thai floating market. Visitors can find exotic fruits and vegetables which are fresh and to get here visitors need to rent a boat from the Chang Pier River and the person will take to Noi-Khlong Om-Bang Khu Wiang Floating Market. These are some famous places to visit in Bangkok. Other than these we have Khao San Road, Bangkok Klongs, Jim Thompson’s House, Lumphini Park and many more. Many tourists spend for about a week or just a weekend in Bangkok. 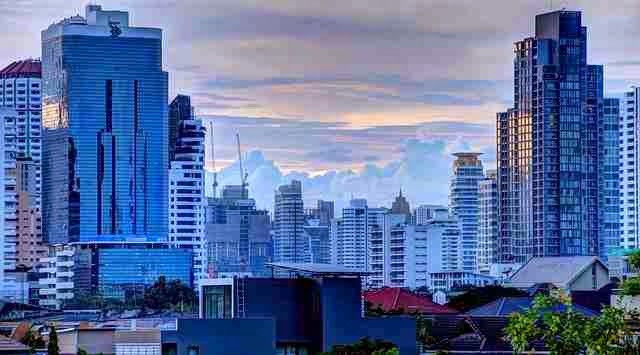 Bangkok is being one of the biggest cities in the world with heavy traffic congestion and naughty nightlife. First impressions might be misleading and the lifestyle does not give any warm welcome but it is a place with magnificent temples and palaces. If you ever been to Bangkok, please share your experiences with us. Subscribe us to get all new articles directly delivered to your mailbox. If you are looking for Funny facebook status updates, then Check out Geekscab.com for funny facebook status. The content is copyrighted to Aman Verma and may not be produced to other websites.